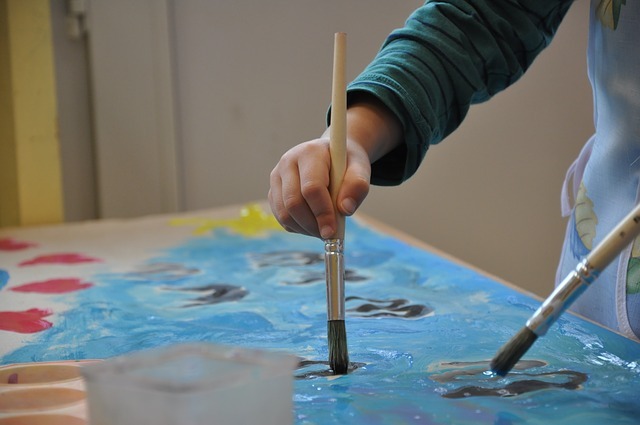 Teaching creativity: born that way or waiting for the muse? Recently one of my Masters students, a filmmaker from the Czech Republic, told me his friends back at home were completely baffled that he was in Australia studying creative writing. You were either creative or you were not, they told him. It wasn’t something you could be taught. Although not voiced in such an emphatic way by my undergraduate students, I’ve still encountered many who hold the suspicion that maybe it’s all just fluff. What I’ve come to understand is that teaching creativity is not about dishing out a set of instructions how to do it, but much more about helping students to identify the kinds of situations or conditions they need for this receptiveness to occur. From there, they can learn to harness this creativity in exciting ways. But first I have to deal with the resistances. Much of the resistance I’ve come across bears the vestiges of an 18th-century Romantic view of the artist as a genius, “a one of a kind, a great original” as Margaret Atwood describes in her book on writing, Negotiating with the Dead (2003). You’re either born that way or not. Or, you have to wait for inspiration, divine or otherwise, to hit you from above, below or sideways. In either case, creativity appears as something outside of your control. Misconceptions about originality are another factor in my students’ resistance and this can create a real confidence block. If they emulate others, they feel that this doesn’t count as creativity or else if they can’t think of something “completely new”, they think they can’t even begin and freeze up altogether. But, once you start to break down this perception, and help them see that creativity is a sensory response and always happens on the back of something or someone else, then a space starts to open up. Here, “originality” gets recalibrated instead into a unique way of combination. The aesthetic operation at work here – the making of connections between one thing and another – is at the heart of the combinatorial game that creativity is, placing an emphasis on structure which in turn refracts and re-inflects all that “borrowed” or “stolen” content. One of the hardest ideas to grasp is the seeming paradox that creativity has little at all to do with the intellect. But saying don’t try too hard, or try not to think too much, is far too easy and not all that helpful. Instead, I ask my students to think about creativity as a kind of altered space and get them to think about what this feels like to them. Everyone can call up an occasion when their experience of time felt out of kilter, or overheard a phrase that kept repeating in their minds with its own particular sound. They might have been staring for hours at their screens trying to work but it was only in giving up and going to bed that creativity started to flow, just as their heads hit the pillow. Or they might have walked into a building and felt their body react to the space in the sense that it is described by Peter Eisenman in his introduction to Elizabeth Grosz’s book Architecture from the Outside (2001). He writes of the affective somatic response that we have in architectural spaces arising from the virtual possibility of that architectural space, rather than from a perceptual or audible sensation. All of these experiences could be seen as forming thresholds of creativity. If we can foster a sensibility or receptiveness to them, the creative space almost feels palpable. In this sense creativity becomes an “other”, but, of course, never completely outside space. In class, I present students with an array of perspectives and “methods” with the aim of demonstrating that we can be creative by not even necessarily beginning with an idea. For example, by playing with language itself we can start creating something as Hazel Smith describes in her 2005 book The Creative Writing Experiment. For many years now, I’ve been presenting a series of extracts of experimental writing about place, including Italo Calvino’s Invisible Cities (1972), which my students and I read together in class. Then I ask them to write about the street they grew up on. The first time I ever did this I was struck by how much their writing had changed. Suddenly it was much more concrete, physical, located and more vivid than anything I’d seen them produce all semester. I saw an inclusion of the senses with a wonderful attention to the depth, breadth and height of the places and experiences they’d described. Also evident were traces of the initial extracts of writing presented for the exercise. These were combined into their writing in their own unique ways. I could see their confidence growing when they recognised that doing an exercise like this created the space for creativity to happen. And it didn’t require an incredible effort.